The MakeRoom Artist Residency has been a project in the making for the several months. It involved conceptualizing the idea, formulating the offering and the application, spreading the word, reviewing submissions from across the country and interviewing candidates. Finally, this week, as I sit here typing the first residents are in-house and it feels really official. The residency has been in the making for a long while but this week, it feels like it actually launched. It's so exciting to see this come to life. The debut artist residents, Morgan Vessel and Keegan Van Gorder (currently of Philadelphia) arrived and have been a bundle of productive energy and creative output. Their time together has been focused primarily on creating what they call Ceremony. Essentially, rituals which they custom prepare for people and small groups - to bring awareness to the normal routine of life, to aid one in deciding that new experiences are meaningful, to trust in yourself and your ideas, and most importantely to get "unclogged". As part of the MakeRoom Artist Residency Morgan and Keegen were hosted at an artist reception in their honor. During the event myself and close to 20 others were excited to learn of their individual work as well as their combined work in Ceremony. As part of the evening they led a Ceremony wherein all were invited to write an acceptance speech to our own failures, the speeches were tossed into a failure bucket and then we all drew out a new speech from the bucket written by someone else and took turns presenting those speeches to the crowd with great gusto. The event was an experience unlike any other. It was filled with vulnerability, truth, liberation and lots and lots of laughter. We all felt thoroughly unclogged. Since the reception Morgan and Keegan who I have been affectionately referring to as MKI for the Morgan Keegan Institute have been continuing their investigation and expansion of Ceremony as well as deeper developing of what they call The Religion. Through The Religion they are building a subscription based membership which will allow their followers to receive Ceremony kits in the mail. Despite their full and productive schedule, I was able to sit down with them separately and ask a few questions. I’ve started to see them as a duo, a paired entity that creates as one and so I thought having them answer these questions separately could possibly shed some new insights into the creative mind. Think of it and as an interview with the forces that are the MKI, the pulse of a dynamic duo or 7 questions to help if you are feeling clogged. 1. What does the MakeRoom Artist Residency mean to you or for you? This is my very first residency (and Keegan's as well) so I am realizing while I'm here how much meaning that has for me. I've never had the experience of having a space / place / designated time to solely work on projects and ideas without outside obligations or distractions. Keegan and I wake up, make breakfast, and then have the whole day to just work on our projects and come up with new ideas. Our creative process feels very easy and fluid, like we can't be stopped! This feels different than when we work on things together at our house in Philly, since we're also often working, trying to find more work, planning other things, paying bills, blah blah all those other things that break the flow of our creative work. Since we've been here in Minneapolis, we've also met a lot of new people who are interested in our work. They've invited us to a bunch of fun places and events in the city they thought we'd be into. Being here at this residency and meeting people within the context of our work has felt really fun and allowed us to make fast friendships with people. This residency at MakeRoom is very meaningful to me, for it's given us all of these opportunities to connect with people and place in Minneapolis through ceremony, and also given us unbroken room/time for personal growth and idea-making. 2. How will your time at MakeRoom allow you to investigate, explore or deepen your work? Ooooh I already touched on this but being here really provides a great work space and time to explore our work. Everyone here (including Thomas!!!) has been so gracious with providing us plenty of information and direction in finding more places/research/events that will inform our work and allow us to investigate more fully. It feels like everyone is so open and supportive of all the creative freaks like us! 3. In 10 words or less what have you learned while at MakeRoom? There is so much more to be done with ceremonies! 4. What is your favorite tool or skill in life? This one is hard! I'm not sure if I could narrow it down to one so here's a short list: baths, weaving / my floor loom, ability to make clothes / my sewing machine, a large pot for natural dyes, zines as tools, treading water for long amounts of time (big skill), my serious fabric scissors, ceremonies as tools, touching my tongue to my nose, my tape recorder, ability to be open / be a freak. 5. In 3 words what do artists/makers/creators offer to the world? 6. What is on your bucket list? Keegan's bucket list for me: Touch the ear of a baby camel as she takes her first sips, sifting the sand of an entire beach, going to a library with crayons and turning an entire shelf of books into coloring books, wearing 30 pairs of underwear at the same time for a whole day, collecting all of the leaves that fall off of one tree for a fall, kiss a psychic, making a life-size plaster cast of my entire family, making a religion and getting followers, convincing my dad to change his name. My list: Going to Sweden & Berlin (see some amazing Swedish weaving! ), go to Mardi Gras, cross country road trip and attend a filming of The Price is Right (did these two things this past fall), Hot Dog Tour, make a great costume for myself to wear often, visit Gee's Bend in Alabama, swim somewhere big! !, get a claw foot tub to up my bath ceremonies, among many others. 7. Shapes, colors or words - pick your favorite. Sometimes at home in my time since college, I have a hard time finding purpose and committed time to work on my art. Having the framework of a residency has given Morgan and I a surprising amount of directed and productive time that we don't normally experience in our daily lives. I feel grateful for the platform of an artist's talk and a week where the only expectation is research, rest and produce work. The residency has also had provided a surprising amount of meaningful new relationships that have opened new doors and experiences for us since our time here. Through having intentional and uninterrupted time to focus on making work, Morgan and I have been able to further develop the scale of our work under 'The Religion.' This time and the opportunity for community involvement has opened our eyes to new possibilities for what our work with ceremony can grow into and become. We've experienced new eye opening ideas that have sparked a new excitement for an old project. It is important to build in pockets of devoted time (to make work). When I was younger and we were out and about on our errands my dad had a tradition of asking everyone we interacted with (grocery cashiers, gas station attendants, waitresses, everyone) "Do you have any advice for my children?". I like to think that this grew a skill inside of me of seeing people, being interested, and asking questions. While I don't ask the same questions that my dad did, this curiosity and openness has carried into practices and new questions in my social interactions and daily life today. I'm happy to report some good people at the University of Wisconsin - Stout, my alma mater, were kind enough to write a story about the MakeRoom artist residency. 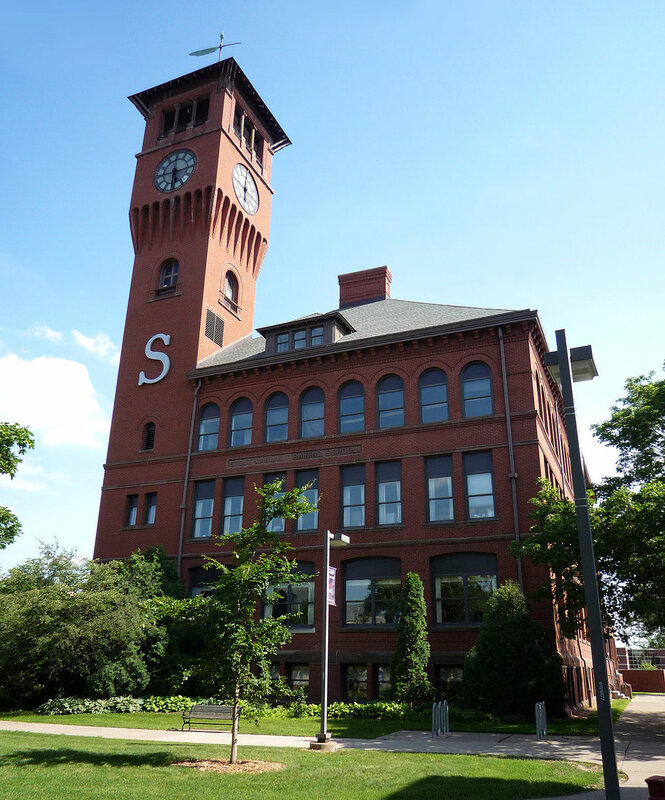 My time at Stout was filled with collaboration and possibility and of course learning. So it's fitting that from my education I'd sprout a project which contains all three. See for yourself by reading the full story here. The Books & Bottles list of books .. shared!!!! Since my last post on the much loved Books & Bottles party some folks have been asking about the actual books which were shared and exchanged with each other. I thought this was a great question and so I have decided to publish the list here. Below are the books which guests brought because they have significant meaning for them or wanted to share with someone. This is a special and unique collection of titles, you'll likely not see any theme emerge in this list. Rather, this list represents the collective of a great group of people. May you find something great in it for you! How a Books & Bottles party has become an important part of my life. I have been hosting a party for many years now that I call Books and Bottles. This year marked the 7th time I have hosted the event and in many ways, it was the best ever. I was introduced to the idea by a friend of mine on the West Coast, many years ago. 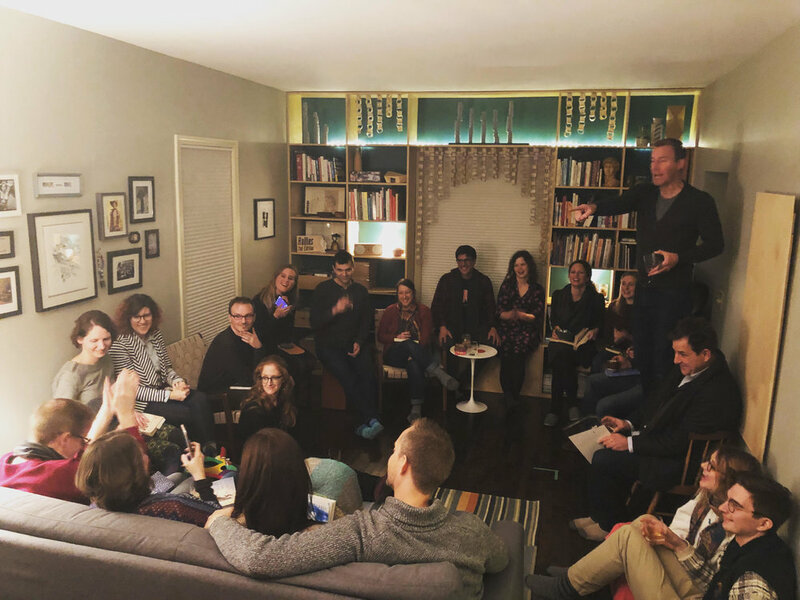 He shared the idea as a casual, easy-to-host party that brought people together to share some of their favorite literature. I remember thinking how engaging the event was; how much fun it was for people to take a moment and talk about a book that had really touched them. It was many years after I attended his party that I started hosting my own. I never forgot his event and in fact remembered it fondly. I knew when the time was right, I would try hosting my own. At my first party I'd just moved to a new community and I didn’t know a lot of people. I recall inviting just about everyone I'd recently met. None the less, the party was on the smaller size but what we lacked for in size we made up in enthusiasm. People were eager to get the discussion and exchange part of the evening started and it quickly became a lively conversation of all our favorite books. Since that first year, I have met many more people and while the crowd ebbs and flows from year to year, old friends returning and new faces attending, I have gotten particular about who I invite. Because there is a focused program during the evening, I have to keep in mind the number of people attending. If you have too many people the discussion and book exchange can take a very long time! One has to manage simple things like having enough seating for everyone to sit together in a circle and being able to hear each other. Its also important to invite friends who are what I think of as ‘real readers’. What I mean is most everyone reads something or another but not everyone reads and really cherishes books. If people show up with books they casually read or don’t have much attachment to then you get an exchange that lacks a bit of passion. However, if everyone brings a book they have read and really love then you get a more lively and meaningful exchange. Some people bring books that have changed their lives or opinions for the better. Others bring books that moved them in a special way or that they recall fondly from their youth. Perhaps they bring a novel they really love because they can relate to the character. In all of these examples you end up with someone else’s amazing book. In a way, you end up with a part of them or at the least you have gotten to know that person better. The other key to having a great B&B is some bottles of drinks. This may sound funny but I truly believe it. I personally try to offer a couple of drinks to my guests as quickly as possible. This helps everyone to loosen up, mingle, laugh and chat with each other. It may also help relieve any nerves someone might have about giving a small speech about their book. And let’s face it, some people are sharing books that come from a very personal and sometimes vulnerable place for them. Many people ask me if guests find I hard to give away their favorite book and indeed many of my friends do find it hard to. But no one has to bring their only copy. They can track down a used copy and give it away. Plus keep in mind, when we give away a book that really has meaning for us we are giving something of ourselves to another person. Others challenge themselves to give away a thing they love as a way of letting go of attachment and enriching the lives of others. It can be a good challenge. ALSO -For those of you who are big fans of books and reading please check out the website of one of our friend's and a guest at this year's event Leigh Kramer. Her blog and her Instagram are packed with great info on the books she amazingly plows through in record speed. Plus, she has a great article worth checking out titled, How To Host A Books And Bottles Party. Artist Residents have been chosen!!!!!!! In my last post I described the process I went through to learn, select and choose the artist residents for my newly offered program. Since then something very exciting has happened ... I have made a decision and selected three individuals for the debut MakeRoom Artist Residency program of 2018. During the month of February, Keegan Van Gorder and Morgan Vessel will be staying for 10-days. The pair of multi-media artists have been working together for some time now with investigations into weaving and fiber as well as prints, sculpture, film and what they call ceremonies. Their time is sure to include; exploring Minneapolis, gaining inspiration and general collaborative creative excitement. 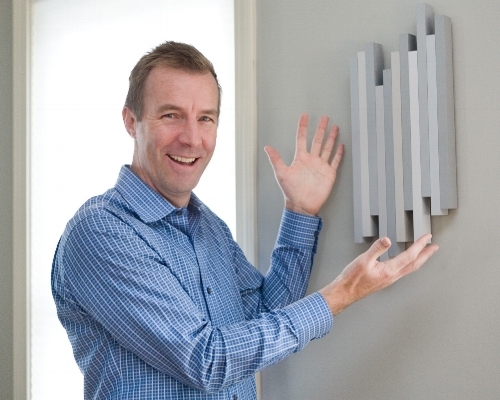 During March, Jordan Jirschele will be staying for 10-days with a focus on sculptural drawings. As a recent graduate with an bachelor degree in sculpture, from my alma mater of UW-Stout, School of Art and Design, Jordan is looking forward to his first artist residency as a way to ready himself for grad school. Upon first reading his application, his dedication to his work and craft have been obvious. He has a impressive body of work for such a young artist and I look forward to seeing what else he adds to his portfolio during his time at MakeRoom. Both Keegan and Morgan as well as Jordan will be speaking of and presenting their work during an artist's reception in their honor, during the time of their stay. Please stay tuned for details. The last few weeks I've been receiving and reviewing MakeRoom Artist Residency applications on an almost daily basis. It's required a rather consistent level of attention, more than I imagined. As the deadline grew closer the speed by which the applications arrived grew faster and faster. And now with the deadline past I'm thrilled with the numbers. 34 total applicants from all across the country. I couldn't be happier to be successfully getting this idea off the ground and this new offering into the world. Of course the next step is the reading, reviewing, learning, selecting, choosing and the deciding of it all. It's both exciting and nerve-wracking all at once. I think about it like the chairs pictured above - all of them are comfortable, interesting and completely fit the requirements for sitting. All the applications I have received are from creative and capable people. All of them fit the requirements. But, it's a small residency with only the availability for two openings total. So, how will I decide? That's the tough part with so many productive and original creatives. The applications have come from far and wide, from across the state and across the country, from small rural towns and big cities, from the West Coast to the East Coast, from Los Angeles to NYC and everywhere in between. From Mankato MN to Atlanta GA. They have arrived from solo creatives and pairs of collaborators. Writers and poets, educators and administrators, sculptors, painters, performers and photographers. People who are just starting creative processes and those who have been long established. Some with very clear ideas for a focused completion and others whose main goal is to take a break and simply get some clarity. All of which is perfectly acceptable. I have been delighted by the diversity of talents and mediums, thrilled how far and wide the word was spread and just plain humbled by the kind words I have heard from both applicants and supportes. Friends and family and complete strangers have gone out of their way to share how much they like this idea. In the next few days I will be making a decision about who will attend the very first MakeRoom Artist Residency. But even before that decision is made and before they arrive it already feels like this this idea of mine is a success. My very own local neighborhood newspaper, The Messenger, published a story on the artist residency offering. Take a look at the kind words of writer Margie O'Loughlin here. September 16 & 17, 2017 Saturday & Sunday - 10am to 5pm both days. Site 34. It's exciting to have a venue to showcase some of my ceramic works. I've been creating and producing for over a year and am looking forward to seeing how well it sells. In addition to my functional pottery I'll also have some small sculptural pieces for sale. I recently uncovered a few boxes of goods from designs in the past so I'll also have journals, haiku booklets, felt coasters and vessels, works of collage and other one-off surprises as well. Another ceramic artist will be there with functional ceramics and ceramic jewelry and a wood worker too. Come stop by and say hello! !